I can't say that I have a favourite. This answer is appalling I know because so much time and expense goes into creating book covers these days. One that stands out is a book I read recently by Agatha Christie: A Caribbean﻿ Mystery. It stands out because the cover was a bit macabre. 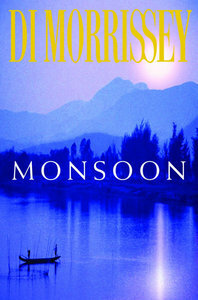 The most beautiful cover I have seen recently is from Monsoon by Di Morrissey. I will be interested to find out what other people think of as their favourite. Hush Hush is one of the covers I swoon over. Oh my, that Agatha Christie cover sure is striking :0 I love the rich blue in Monsoon's cover. Here's mine. Hi, I'm visiting from the blog hop. Anything with a nature-based cover makes me look twice at a book. I love the beautiful blue of Monsoon. Just hopping by and following through. That Agatha Christie cover is certainly unique - not something I'd usually associate with her books. Thanks for stopping by my blog:-) I'm following you. Hi! Thanks for following :) Hope you have a great rest of the weekend. 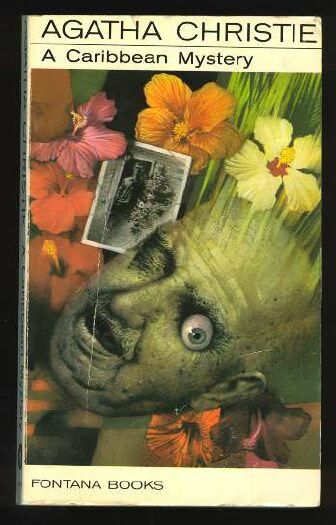 That Agatha Christie cover is unlike any I've ever seen on her books -- definitely macabre! Ooh the Monsoon cover is lovely -- I always love photographs of water reflections. Nice pick!